These are the pictures of teacher’s sample of Wedding Corsages from Wedding Flowers 101 class held on May 16, 2012. Students learned how to make corsages for bridesmaids, bestmen and family members. Per request from students, Kazuko made the following sample of Bridesmaid Bouguet for Wedding Flowers 101 class. It is on display at Millennium Harvest House Boulder’s lobby area until May 16, 2012. 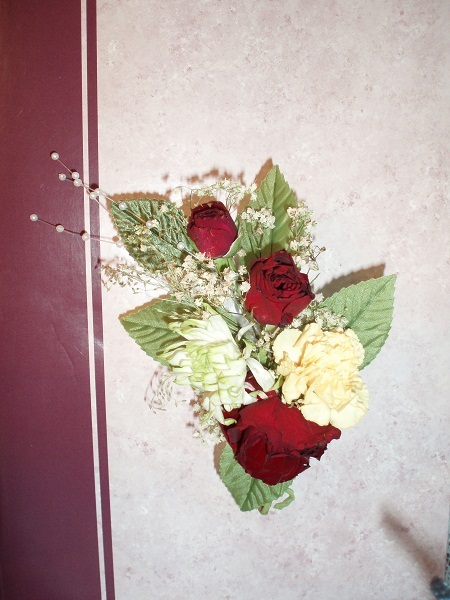 The length of the bottom stem is left a little longer than it would have been used in a real wedding situation, due to the fact that it is kept in a vertical vase with water to be shown at the hotel lobby for several days. 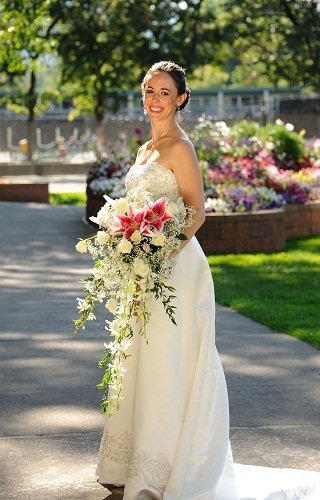 These are the pictures of teacher’s sample Bride’s Bouguet from Wedding Flowers 101 class held on May 9, 2012. 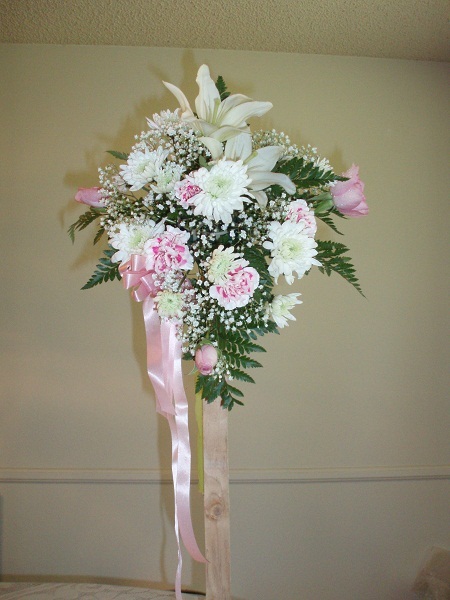 Students learned how to use the stand, and to create Bride’s Bouquet flower. 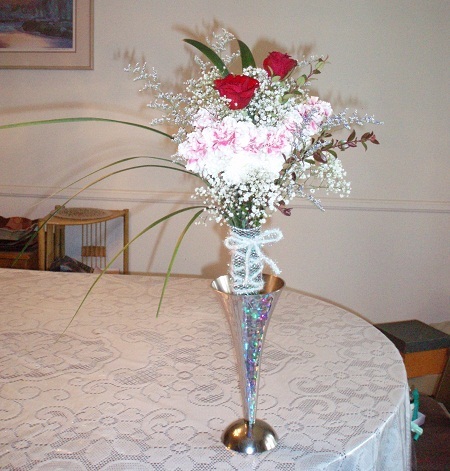 These are the pictures of teacher’s sample Centerpiece Flower from Wedding Flowers 101 class held on May 2, 2012. 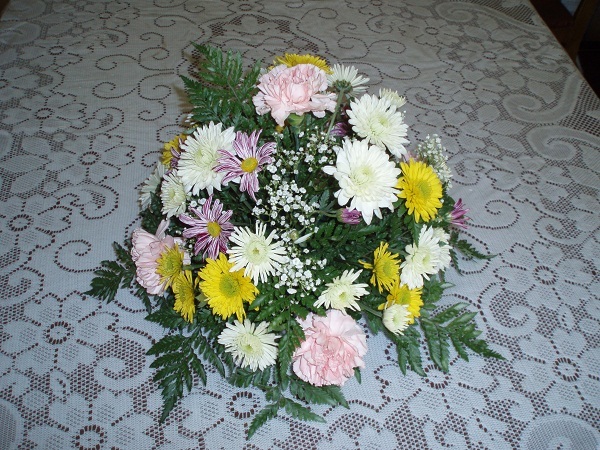 Seven class students have learned how to make it and made similar Centerpiece Flowers. They brought home their own pieces after the class. August 20, 2011 was our eldest son’s wedding. 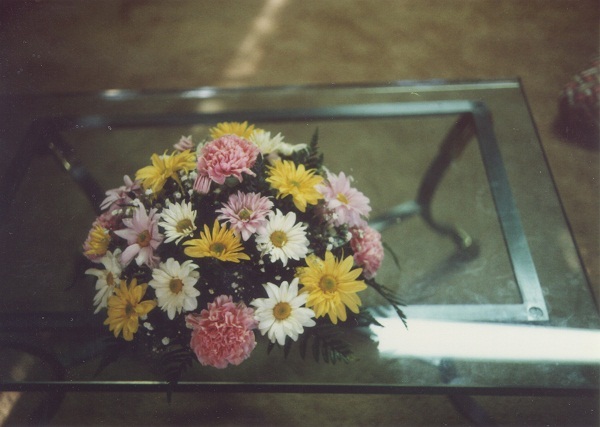 Kazuko had prepared all of flower arrangements on the tables, and bride’s bouquet, bride’s mates’ bouquets.